1. 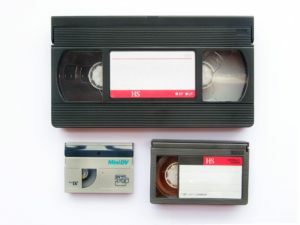 What is the difference between films and tapes? How do I know which ones I have? This does cause much confusion for many people. The easiest way I can explain this is that films are round and must be watched with a movie projector and tapes are rectangular and watched on your TV. 2. Is there a price difference between the different sizes of the films?? Yes. The 3 inch is $10 each. These usually (not always) have a blue cover, or come in a small box. The 5 inch is $30 each and the 7 inch is $40 each. 3. 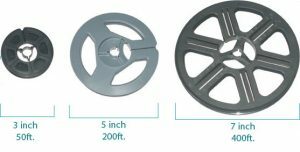 Is there a price difference between the different types of tapes? 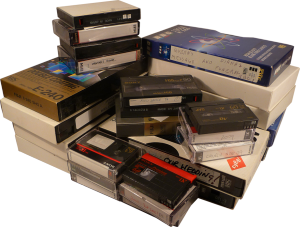 No, regardless of which tape you have, the price is $15 for tapes up to 2 hours in length. An additional $10 charge will be added for tapes longer than 2 hours in length (additional DVD’s need to be made). 4. My tape is only half-full, can I have a discount since the tape is not full?? 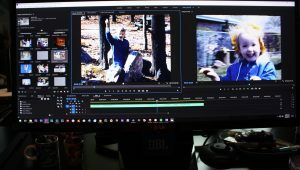 Regardless of whether the tape is full or only has a few minutes of footage on it, the amount of labor for me is the same, therefore the price remains the same. However, if it turns out that the tape is blank or is damaged beyond repair, then there will be no charge. 5. I have several small tapes/films. Can you combine them all onto one DVD rather than give me a DVD for every tape?? Yes, absolutely. I can transfer as many tapes that will fit onto one DVD. DVDs will hold up to 2 hours of footage. I will create a chapter for each tape/film that I transfer so that you can quickly locate and go to whichever one you want to view, or you can simply choose “play all” and watch them all in sequence. Please understand that this has the same amount of labor for me as transferring all the films/tapes onto their own DVDs, so the price remains the same. 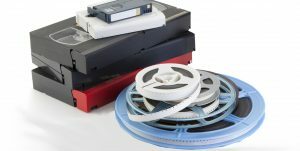 We charge based on how many tapes/films we transfer, not how many DVDs we create. 6. 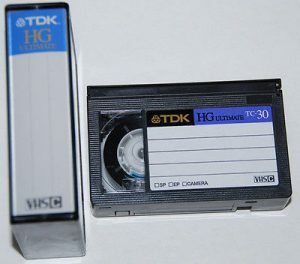 I have VHS tapes that we recorded using higher speed, so there are 4 or even 6 hours on the tapes. How do you handle this?? DVDs can only hold up to 2 hours of footage. Once a DVD is full we must start a new DVD. I will find a good “splitting point” to end the first DVD before starting the second DVD. The second and third DVDs off a tape is a $10 charge. 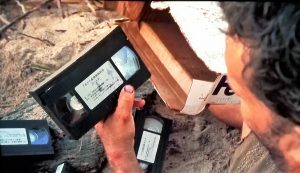 So, if your VHS tape has 3 hours of footage, this would require 2 DVDs to transfer, the charge would be $15 for the first DVD, and $10 for the second DVD. 7. Where do you ship our home movies to? Will they be safe? I do not ship out to a lab like other companies do. So no danger of your precious memories being lost, damaged, or ending up on a deserted island. All work is done in my home, by me. I am a one-man shop, and I will be the only person handling your precious home movies and videos. I will personally handle all steps of the transfer process. This is how I am able to offer such great prices – I do not have the overhead that these other companies have.